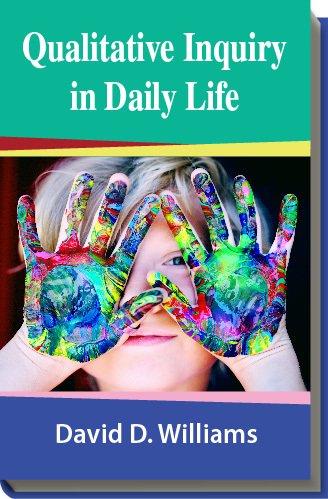 This book is meant to teach researchers, evaluators, and practitioners such as educators how to use qualitative inquiry in daily life. Although this book may make the most sense if it is read in sequence, feel free to navigate to any chapter or appendix at any time. CC BY: This book is released under a CC BY license, which means that you are free to do with it as you please as long as you properly attribute it. David Dwayne Williams has conducted more than seventy evaluation studies throughout many countries. He also conducts qualitative research on people’s personal and professional evaluation lives, including how they use evaluation to enhance learning in various settings. 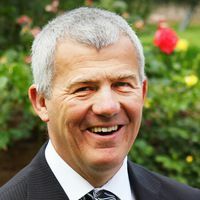 He has published more than forty articles and books and made more than one hundred professional presentations examining interactions among stakeholders as they use their values to shape criteria and standards for evaluating learning environments and experiences. As an emeritus professor from IPT at Brigham Young University, he continues exploring evaluation lives through sharing of and commentary on qualitative interviews at his blog site.